2015 - Science Saturday, a free, family-friendly, twice yearly hands-on science event debuts. Open to the public. 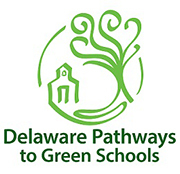 2016 - TJS becomes a partner in Delaware Children in Nature and Delaware Pathways to Green Schools. 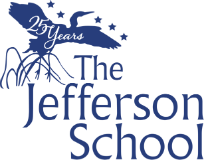 The thing that sets The Jefferson School apart from all other schools in our region is the way we use our campus. 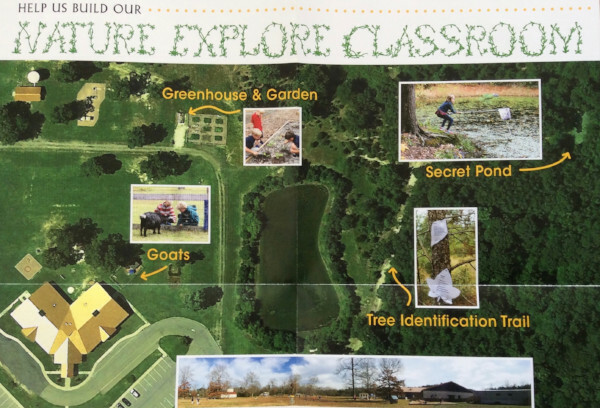 Located at the edge of the Redden State Forest, The Jefferson School campus is an ecological treasure, with two ponds, trails with five family fitness stations, a garden, greenhouse, a five member goat tribe and a bee observation window. Since 2010, we have been cultivating alliances with regional partners to build a nature-centered, hands-on curriculum for our students. 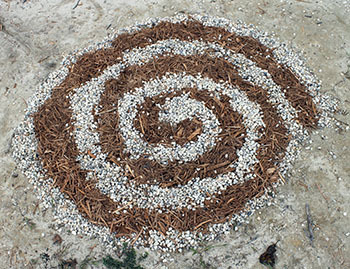 Our goal is to create a nature-centered, hands-on educational facility that can be shared with others in the community. COLLABORATIVE PARTNERS: We work with a variety of collaborative partners to enhance the curriculum. develop the outdoor classroom areas and work with us on community events like Science Saturday. Our partner like continues to grow and includes: Abbott’s Mill Nature Center, Brandywine Valley SPCA, Delaware Association for Environmental Education, Delaware Beekeepers Association, Delaware Center for the Inland Bays, Delaware Children in Nature, Delaware Department of Natural Resources and Environmental Control (DNREC) - various divisions, Delaware Forest Service, Delaware Native Plants, Delaware Nature Society, Delaware State Parks, Delaware Technical Community College, DelDOT, Delmarva Space Sciences Foundation (DSSF), Echo Hill Outdoor School, Fish and Wildlife Organization, ILC Doveri, iNaturalist , Lewes Historical Society, Lewes Volunteer Boat Building Crew , Makin’ Music Delaware, MARACOOS, Marine Education Research and Rehabilitation Institute (MERR), Mohawk Electrical Systems, My Nature/Janet Phillips, Nanticoke Watershed Alliance, National Parks Service, Nature’s Notebook/National Phenology Network, Oceana, Parkside High School Horticulture Department, Rehoboth Art League, Southeast RCAP , Stash Your Trash, Sun Otter Tours (citizen science), University of Delaware - College of Agriculture & Natural Resources, University of Delaware - College of Earth, Ocean, and Environment, Wesley College. NATURE CLASSROOM - At the center of the campus we have ongoing development of a Nature Classroom. The Nature Classroom features a variety of engaging areas where students can explore, create, observe and play. Even though it was originally conceived for our younger students, our Middle Schoolers use the space for outdoor classes of all kinds. 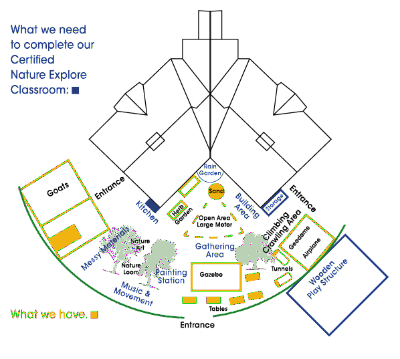 In addition, we have also added an outdoor classroom with a dry erase board and benches for all ages. SCIENCE SATURDAY - Hands-on science activities for families, held in the fall Sept./Oct. and in April. Free and open to the public. To improve environmental literacy, create opportunities for children to participate in outdoor experiences, promote healthy lifestyles and provide better access to green spaces through schools and community programs. 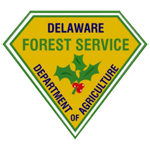 Working with the Delaware Forest Service and the U.S. Fish and Wildlife Service to create Forest Patches with companion shrubs that will service as outdoor collaborative classrooms and observation areas.